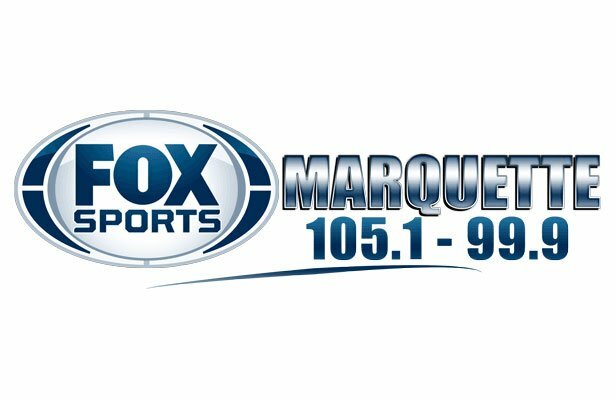 Kingsford, MI – February 9, 2018 – The Marquette Redettes basketball team defeated the Kingsford Flivvers 53-44 in overtime on Friday evening, in a game that was broadcast live on Fox Sports Marquette 105.1-99.9 and online at foxsportsmarquette.com. 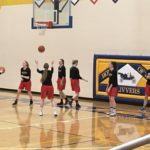 The Redettes, who won their last game 54-50 in overtime over the Houghton Gremlins in an overtime nail-biter, brought their winning streak to five games in a similar game against the Flivvers. The first quarter began quickly, as within the opening minute of play eight points were scored, four for each team. After this, however, it seemed that neither team could buy a basket, and there was no score for nearly the next four minutes. 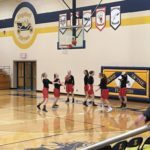 Marquette found their offensive rhythm eventually, though, as they were able to bring a 17-6 lead into the second quarter. 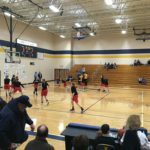 Kingsford, undeterred, outscored the Redettes 10-4 in the second quarter, and heading into halftime the score was 21-16 in favor of Marquette. The third quarter saw the Redettes get back on the horse offensively, as they outscored the Kingsford Flivvers 12-8 in the penultimate stanza. The final quarter of regulation was a hard-fought and close one, and in the last minute, the teams exchanged leads back and forth. With 2.4 seconds left on the clock, the game was tied 42-42 and Marquette had a chance to win. Avery Ledy took the inbound pass but left her shot just a bit short, and the teams headed to overtime. The extra four minutes was just about as close and exciting as you could want, as both teams played fast-paced basketball. Avery Ledy put up 9 points in overtime alone to help the Redettes to a 53-44 victory over the Kingsford Flivvers. 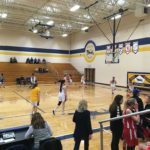 Leading the scoring for Marquette was Avery Ledy, who scored 22 points on the night, while for Kingsford it was Renee Roberts with 20 points. 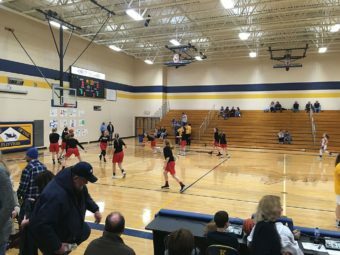 The Marquette Redettes will next be in action on Thursday, February 15, when they travel to Houghton to once again take on the Gremlins. That game will tip off at 7:15 P.M., and you can catch the action live on 97.5 GTO and online at gto.fm. 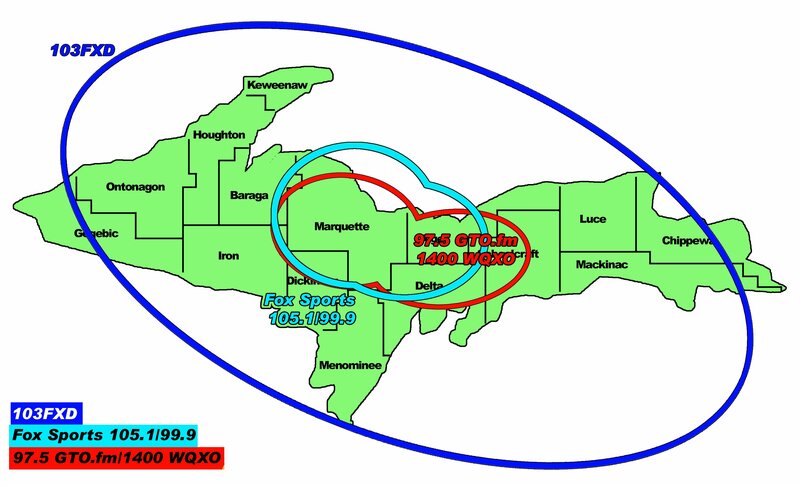 Listen to the audio from the broadcast here.